The ingredients can be plants or by-product of plants or natural minerals taken out from earth’s crust. As the organic makeup is made out of all the natural things, it does not harm the skin. Instead its effect is soothing and it leaves the skin glowing. For women having sensitive skin, use of organic makeup is recommended as it doesn’t contain any chemicals and it won’t affect the skin badly. Chemicals, pesticides, talc, preservative, artificial colors are not added in the organic products. Also organic products are never tested on animals. Mostly ingredients used in organic makeup are buds of jasmine flower, rose flower petals, chamomile flower, aloe vera, beeswax, castor oil, jojoba oil etc. Extracts of these flowers can also be used in organic makeup. Some of products prepared can contain by-product of animals and so many companies provide appropriate alternative for vegans. All the ingredients have to be organic in nature and than only they can be used in organic makeup. Minerals like zinc, titanium, iron, mica etc are used along with above organic plants. For obtaining fragrances for the organic products, organic oils are mixed with herbal plants. If USDA has verified the makeup product and its ingredients, and have found out that all the materials used are organic, then that makeup can be certified as “organic”. There are different certifications provided to organic makeup. Before buying organic makeup kit make sure to verify the product by seeing its certification. Some of the organic makeup kits are not 100% organic. They may also contain chemicals which are harmful to the skin and can cause skin problems. Avoid these organic makeup kits. Makeup products like foundation, lotions, eyeliner, lipstick, blush and concealer are the ones which are organic in the kit. Other than this some shampoos and creams are also available as organic products in the market. Now-a-days many companies are competing with each other for making a fully organic makeup kit. Women are being compelled to try on organic makeup, as it is prepared out of natural things and it has no side effect on the skin. Women can try on organic makeup as it is safe for the skin. 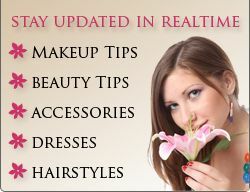 Many websites are available which do sell organic makeup.